So if you've been following along on any of the sewing I've done for my boy, you may have noticed the mention of the Clean Slate Pants/Shorts/Capris pattern. I am very happy with this pattern, for sure! What I love about it, is pointed out in the name itself. The pattern is a clean slate! I absolutely love how I can pull out the same pattern, have something familiar to sew and with just a few tweaks make something completely unique and different from the last pair I made! This is the very first pair I made and actually haven't blogged about it before. I used a t-shirt from my church (represent! 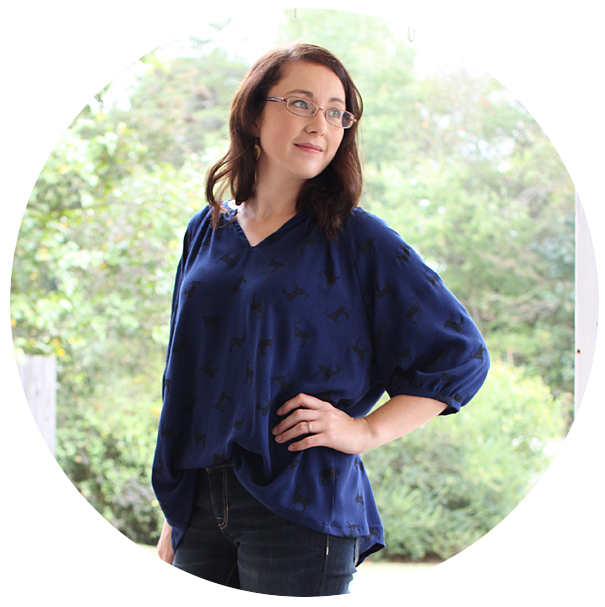 ), it was too big for me or my husband, and just sitting around so as a trial run on this pattern, I upcycled it! I love them! So this pattern works for both knits and wovens! And denim. And any other bottom weight. And lightweight too. Lots of fabric options! The second pair I made using this fabulous green stripe fabric from an old cast-off dress that I couldn't part with BECAUSE of the green stripe. I blogged about this pair here. Again, this is a knit. For the waistbands on both the knit shorts I used a contrasting stretchy knit. I cut the waistband shorter than what the pattern calls for but still ended up needing to put a strip of elastic in the back so they would stay up on my little man. On this pair I chose to add a faux drawstring as well. For this pair I used a heavier quilting cotton, it has a very smooth, almost silky feeling. 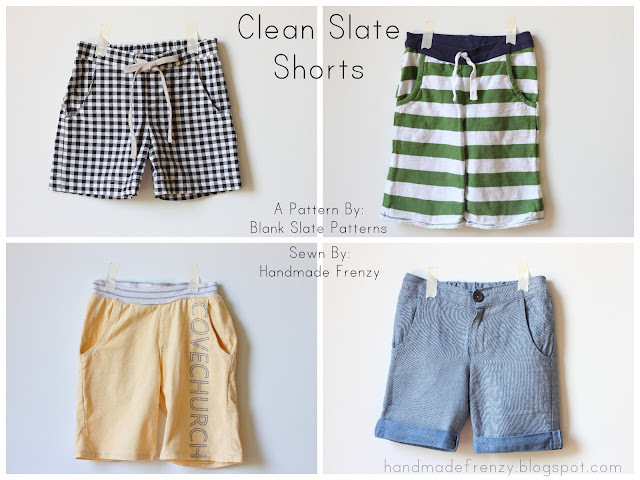 I made this pair shorter than any of the others, which is a fun change. I added a functional drawstring too. For more detail go to this post. Oh, and these also were chosen as a favorite of Caila's in her Best of Summer Sewing Flickr group and I won a free pattern! So fun! The latest pair I made with this pattern is the one I'm most proud of currently :) I used a lightweight stretch denim from Joann and went all the way with the options included in the pattern and added a detail of my own. The instructions are fabulous on how to add the front pockets, back welt pockets, and zipper fly. I chose to cuff the hem for a fun, edgy look. See the complete outfit I made for E, here in this post. 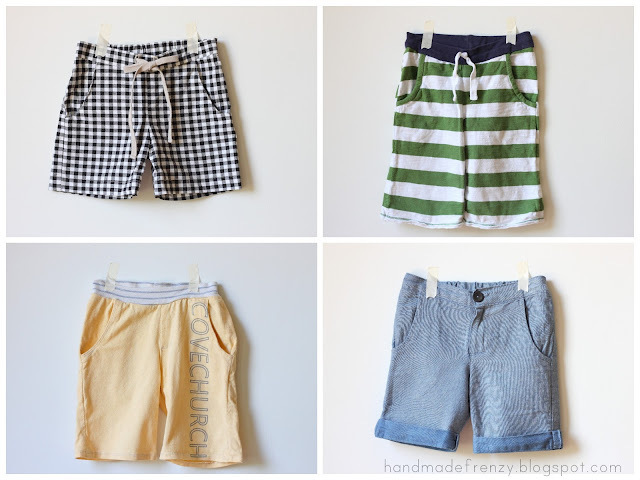 So there you have it, my go-to pattern for shorts for the little man. So much fun! And so many different looks. If you give these a try and are inspired by any of these looks add them to our Flickr group, I can't wait to see what you come up with!